GreenSky is a manufacturer of patented wind technology that eliminated recurrent reliability and noise issues in the small wind industry. 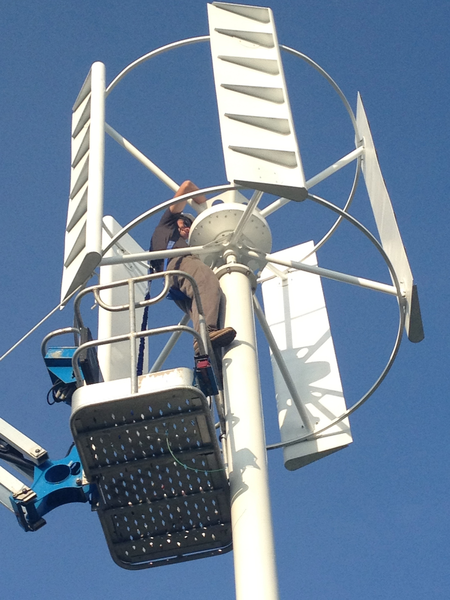 GreenSky is a NC based developer, manufacturer and distributor of silent small wind turbines for residential, commercial and agricultural on-site energy generation. Since the Series A in March 2012 and thanks to 5 years of R&D in small wind and generator technologies by engineer Greg Farley, GreenSky has developed and sold three of the 1.8kW direct-drive, patent pending, ZEPHYRE; the very cost-effective and durable Vertical Axis Wind Turbine.